On February 2018, Arraijanal, one of the last parts of natural beach on the coast of Andalucia (Spanish state), was squatted to protect it from the attempt of environmental destruction in order to build a football stadium and sports town on this area. Some centenary trees were cut down and the area was fenced in, but that didn’t stop the activists from establishing a permanent protest camp. This protest camp have been evicted several times, but our comrades managed to reoccupy it and keep the struggle during six months, and for now the building works have been stopped. Two years after the beginning of this trial, which I am facing with my comrades, anarchist brothers and sisters, and after letting the prosecutor speak, with a sick fantasy that does not surprise anyone, today more than ever I reaffirm with even more force the fact that I am an anarchist, an individualist and an insurrectionist. Having read thousands of pages of court files, written by the different inquisitors of Turin and Naples, has made me even more convinced that it is better to sometimes have problems with justice, rather than for it to agree with you. I keep my ideas, which you do not like because they aim at the destruction of everything that has to do with your miserable world. For none any extenuating circumstances. [Below in French and Italian / Sotto in francese ed italiano]. 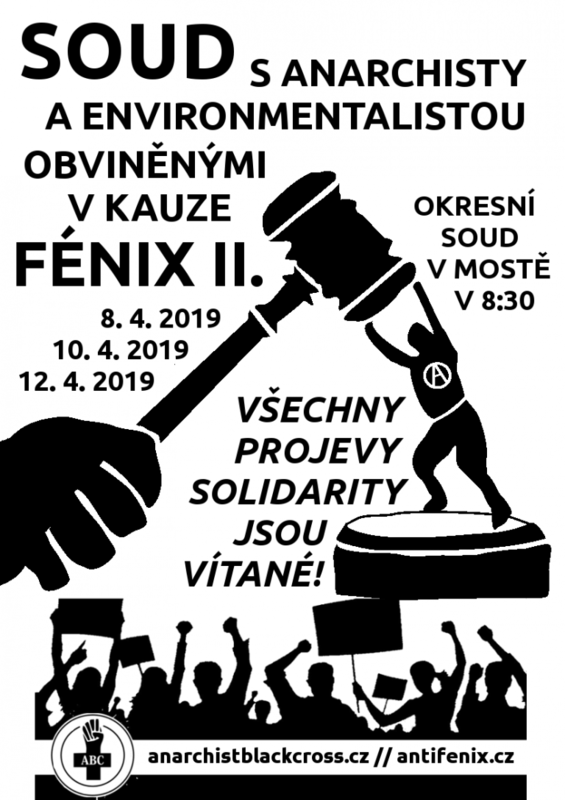 Text read in solidarity to anarchists under trial following Scripta Manent operation. On Monday 11 February in the bunker hall of the Turin prison a large group of comrades expressed their solidarity with the anarchists on trial following the “Scripta manent” operation (6.09.2016). Roberto Sparagna (the public prosecutor in the trial) was unable to take a word to formulate his indictment. After several slogans and the reading of the following text, the Court interrupted the hearing. The courtroom was evicted through the intervention of the riot squads. During the protest, solidarity was expressed to all the anarchists arrested and on trial during this period, following the repressive operations “Scripta Manent”, “Panico” and “Scintilla”, and against the eviction of Asilo Occupato in Turin. Freedom for all prisoners! Long live anarchy! Today, Friday 25th January 2019, 15 of the 18 defendants in the “Basel”-process have been found guilty of willful damage of property, actual bodily harm, breach of the peace, multiple acts of violence, threats against public authorities and officials and breach of the traffic laws. The preposterous sentence ranges from 20 months conditionally to two years, up to 27 months unconditionally. Thereby the three judges of the criminal court of Basel city followed the claims of the prosecution in most parts. Some persons even had to pay an additional fine of 200,000 Swiss franks for the violation of the ban on wearing face coverings, as well as individual fines – between five and ten daily fines in lieu of jail time – for insults, violation of the gun control law, trespassing or hindrance to an offical act. wieder zurück nach Berlin reisen. offener faschistisch agierenden Regimes in der Türkei. und wir gehen davon aus, dass dieser im Frühjahr 2019 enden könnte. 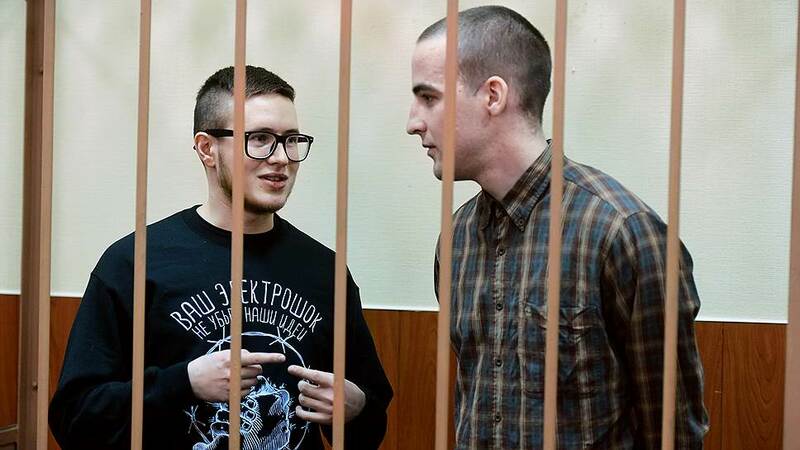 Dmitry Pchelintsev and Andrei Chernov, residents of Penza and suspects in the so-called Network case, have gone on hunger strike, claiming remand prison officials and FSB officers have intimidated them during their review of their criminal case file, something to which they are entitled by Russian law. Several Penza suspects in the case have claimed they have been put in solitary confinement, handcuffed to radiators, and threatened with violence.